I discovered that I was hiding behind by company brand at the expense of my real dream of blogging, speaking, sharing in arenas apart from my company branding and that it boxed me in to a safe corner that frustrated me; but I did not realize it until I started the process. Free, free at last. Thank you. Girl, you are the real deal. I first began working with Tanoa in April 2016 as a seasoned professional in her industry – Property and Community Management. Her package included logo development, assistance with choosing her site name and domain, and a WordPress website with a blog. 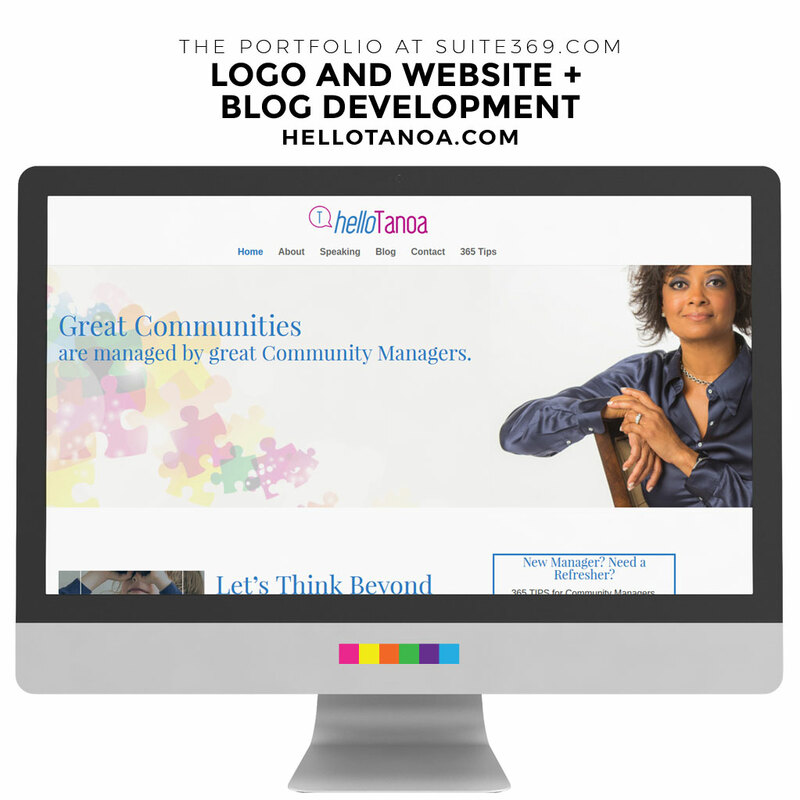 Once the logo and site were completed, Tanoa became a monthly content management client. She concentrates on providing the text content and I create corresponding images for each post, schedule and post the content once a week, as well as scheduling posts to her Twitter account on a rotating, daily basis. She wasn’t sure of her blogging goal when she started the project, but that goal became promotion of her book and getting booked to speak. I’m ecstatic to say that only after 6 months, Tanoa was booked to speak in February 2017. Now that she has amassed a library of informative and entertaining blog posts, she’s ready to try her hand at something new. Can’t wait to see what she comes up with next! Interested in upgrading your web presence and standing out in your field? Let's start the process now! Copyright © 2010-2019 MizzEllaneous LLC. All Rights Reserved.